Low Cost Digital Radios for Business – CP200d, CM200d, CM300d | Magnum Electronics, Inc. The most popular two-way radios for business now support DMR digital voice communications with advanced features. The CP200d, CM200d, and CM300d can be ordered with both analog/digital operation or analog-only with future upgrade capability. 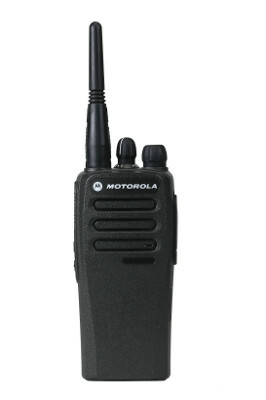 They are compatible with other MOTOTRBO radios but are limited to conventional voice features. They will also support dual-capacity direct mode meaning you can have two simultaneous conversations on a single channel without a repeater. CP200d batteries and chargers are backward compatible but audio accessories have been optimized for use with digital. Motorola’s new upgraded audio accessories are marked with a symbol on the 2 pin connector. Base, mobile, and control station operation is now possible in VHF (136-174 MHz) with 25 and 45 watt versions. UHF band will be released later this year. Both the CM200d and the CM300d support 99 channels, repeater/talkaround, and voice announcement. The CM300d has an alpha-numeric display and two additional programmable buttons. The CP200d, CM200d, and CM300d are included in the “Buy 6” August Promotion that ends this month. Receive $185 from Motorola when you purchase six radios on the same invoice. CP200 analog-only sales slowed significantly since the introduction of the XPR 3300/3500 and Vertex Standard EVX-530 series. Now it appears there is an even easier migration for commercial customers requiring basic voice communications to migrate to DMR. The most rugged business radio for the past ten years just got a new life. This entry was posted in Motorola, MOTOTRBO, New Products, Portable Radios and tagged 2-way radio, CM200d, CM300d, CP200d, DMR by magnumelectronics. Bookmark the permalink.